I love fresh tuna! Especially with this mustard and maple marinade. The recipe takes very little time to prepare, it is impossible to miss and will please the whole family. To add in your favorites! In a bowl, add maple syrup, Dijon mustard, olive oil and orange-coriander sea salt then season with pepper to taste. Mix and reserve. Place the tuna in a large bowl and pour 3/4 of the marinade. Toss gently to coat and let marinate for 15 minutes on the counter. In a large non-stick skillet over medium-high heat, add a thin stream of olive oil and spread well. 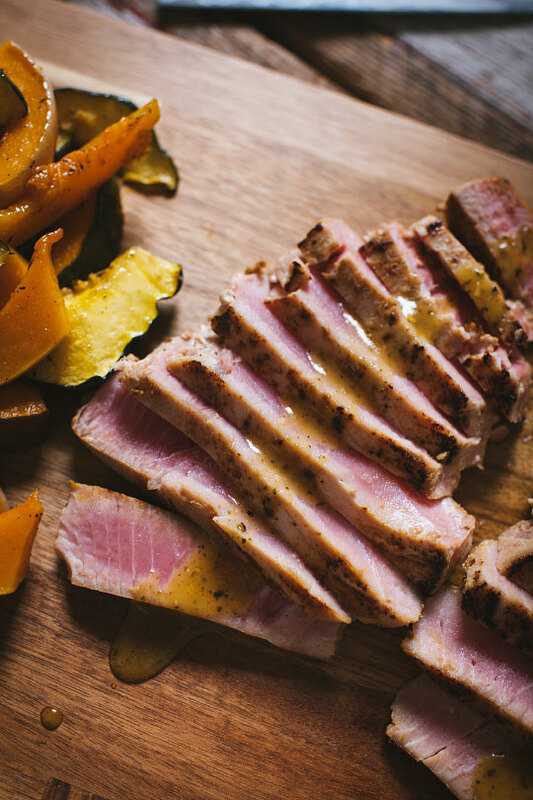 Place the tuna steaks in the pan and cook for 1 minute. Flip and continue cooking 1 minute (or until desired doneness). Remove from the pan, place on a plate and let stand 2 minutes. Slice, place on the plates and drizzle with the remaining sauce. Serve with your favourite vegetables! 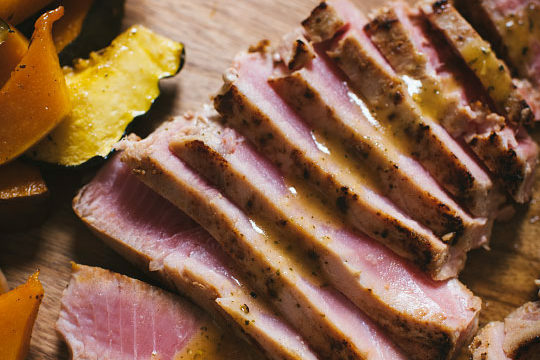 Why not serve a good sparkling wine with these fresh tuna steaks? 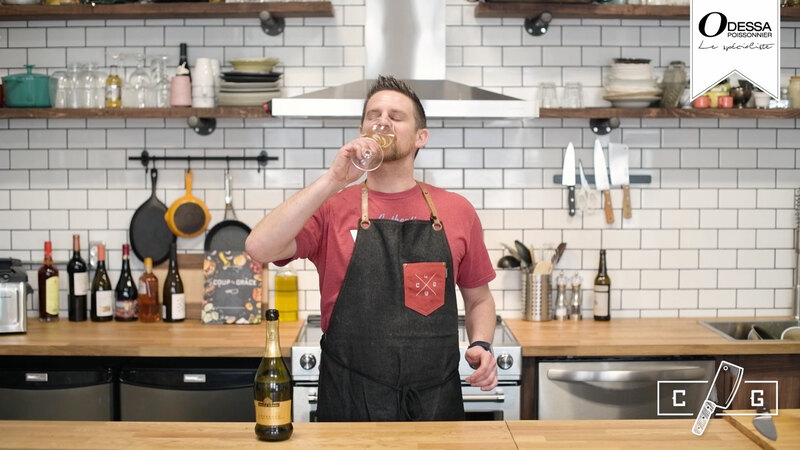 It will offer fine, light and persistent bubbles. Its dry and fruity side will perfectly accompany this luxury meal. With sour notes of lemon, this tart wheat beer will bring a delicate freshness that will slice into the sweet and sour marinade of tuna. Its citric acidity will also complement the freshness of the marinade. At 3% alcohol, this duo offers you a nice meal almost healthy!